I’ve got a fever, y’all. 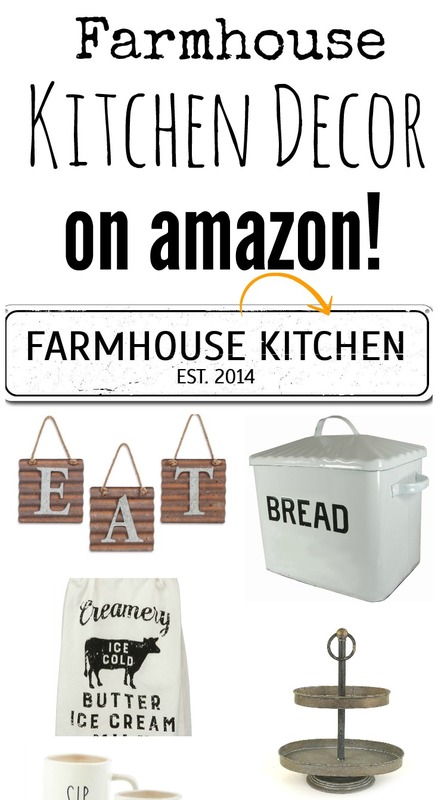 I’ve got a fever…and the only prescription is MORE FARMHOUSE DECOR! 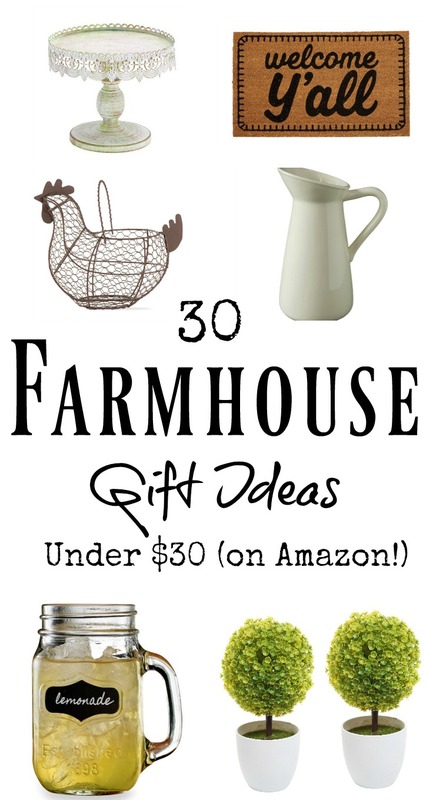 (Specifically – more Fall-ish farmhouse decor. I just can’t get enough of it!) I know Fall isn’t technically here yet, but I’m so ready for it! 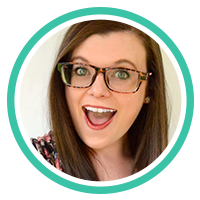 I’ve been thumbing through magazines and scrolling through my favorite home decor bloggers Instagram feeds just soaking in all of the gorgeous Fall decor they’ve been taunting me with. If you’re a lover of the rustic farmhouse look, then Fall is THE season to really let that love shine! Anyone that knows me knows that I mainly shop on Amazon. I shop there SO much that sometimes I feel like I keep them in business! 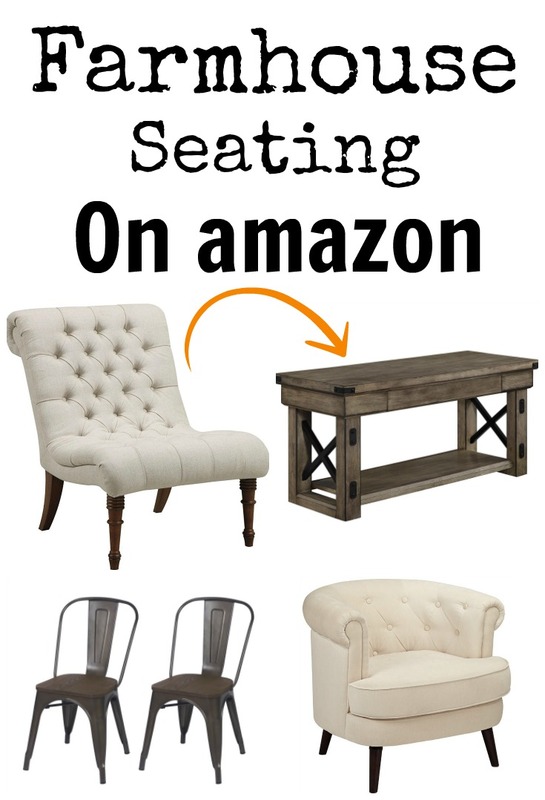 My husband and I are ordering something on Amazon almost on a daily basis. When you live out in the boondocks like I do, sometimes you’d much rather wait 2 days for something to get here than to make the trek into town to buy it. 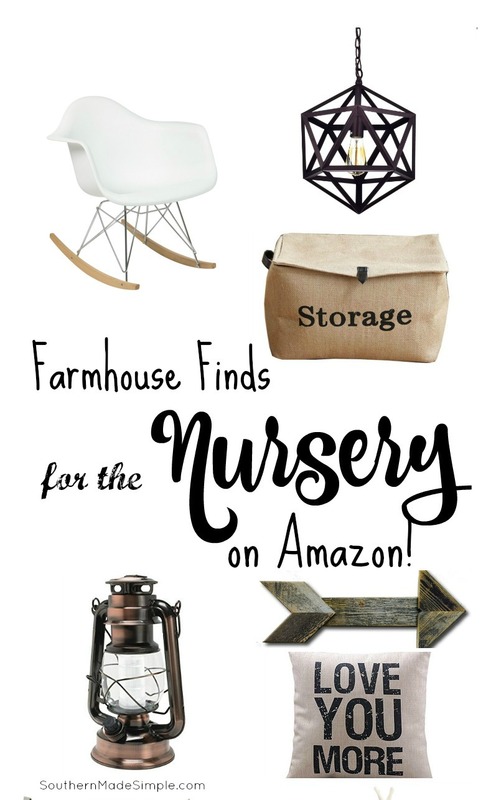 That’s why Amazon is usually the first place I check when I’m looking to spruce up my farmhouse decor collection! 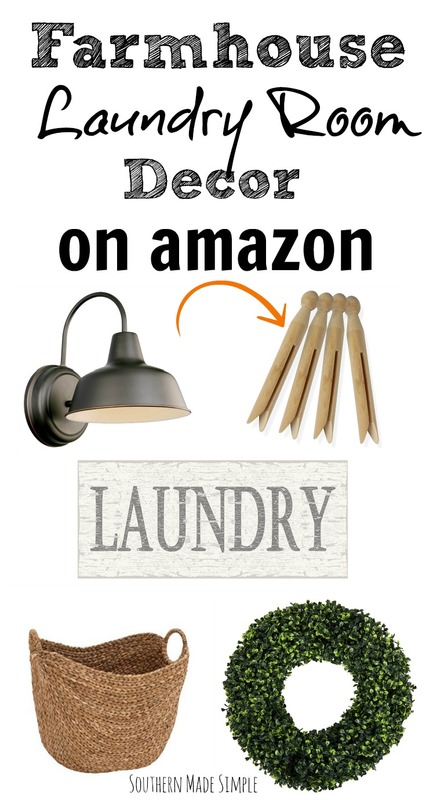 You may have seen some of my other Farmhouse decor posts floating around on Pinterest. Take a look! 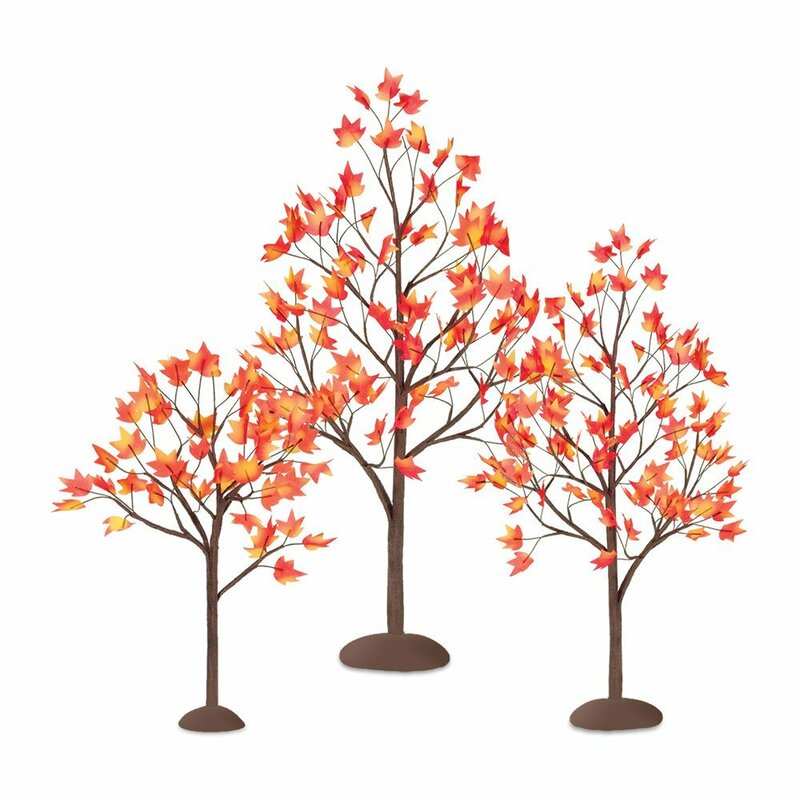 Set of 3 Autumn Maple Leaves – These little trees would be so adorable as a centerpiece on a table, sitting on a mantle, or anywhere you can think to put them! 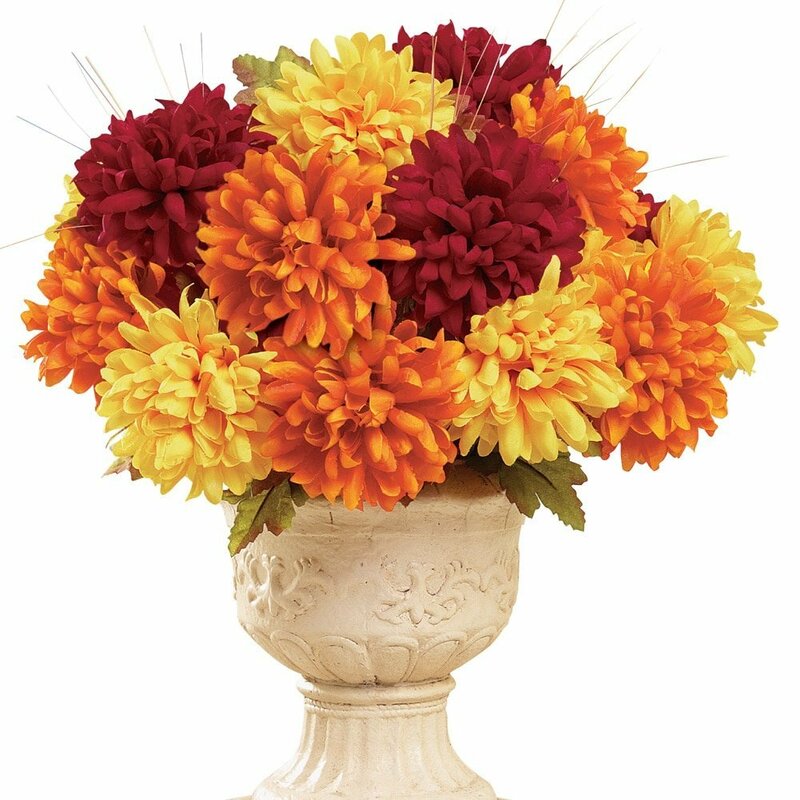 They really add a nice pop of Fall color to your decor, and they’re priced perfectly at just $18.00! 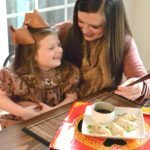 DIY Burlap Banner – These DIY burlap banners are a must-have for all seasons in my opinion! You can choose to leave them blank or you can easily stencil cute lettering on them to spell out anything you want! At just 7 bucks, you might as well buy one for each season! Rustic Fall Sign – One of my favorite trends about Farmhouse decor is the use of vintage-inspired signage. 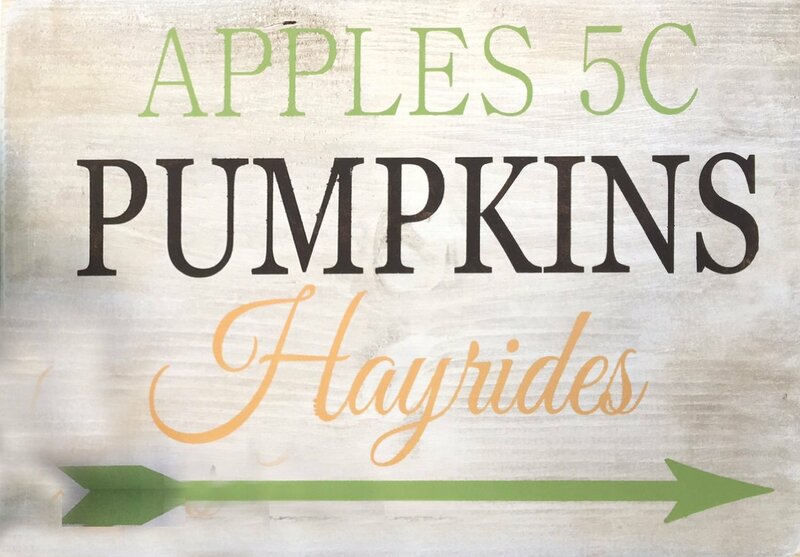 I adore this little hayride sign. It really puts me in the mood to go to put on my boots and go out to the pumpkin patch! 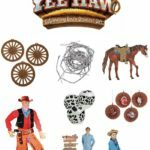 I’ve seen this go out of stock a couple of times, so go ahead and grab it if you can! 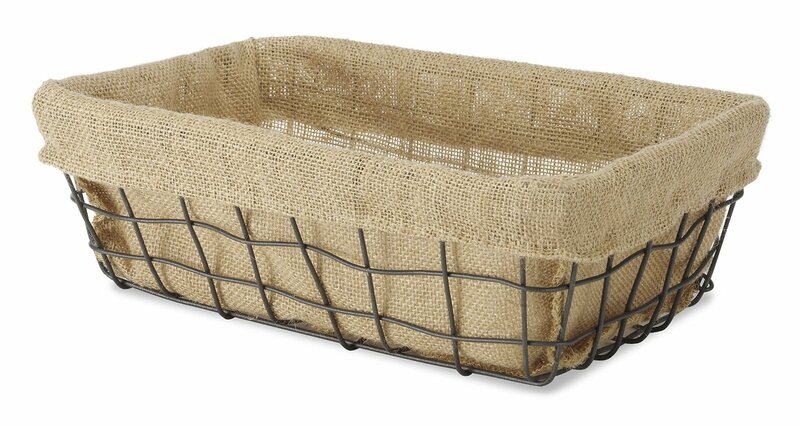 Burlap Lined Wire Basket – This burlap and wire basket would be perfect to set on a coffee table to keep magazines, remote controls, or even decorative spheres in this Fall! I think I’ll be putting this on my kitchen table and keeping fresh red apples in it! 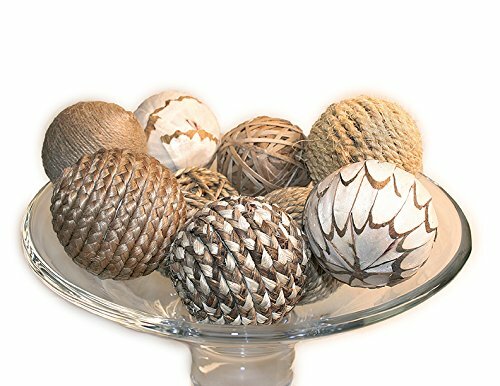 9 Piece Decorative Spheres – Seriously, y’all. You cannot to wrong with your decor when you’re using decorative spheres! I love that this bundle includes jute rope-wrapped spheres. 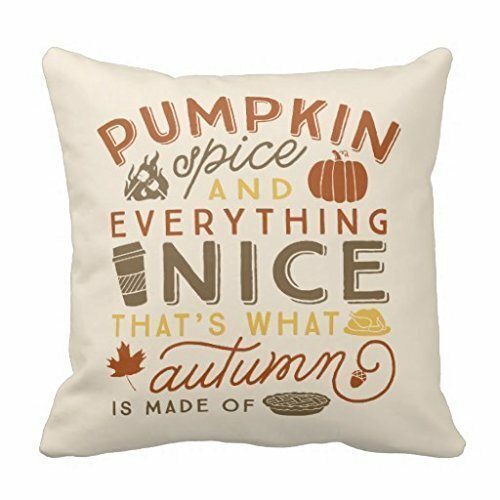 They’ll carry on into any season, but they’ll especially look good with other Fall decor! 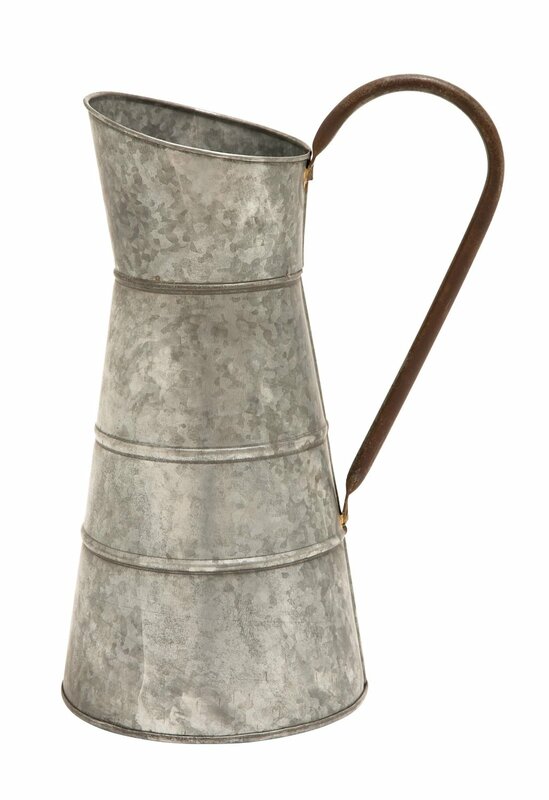 Galvanized Rustic Jug – I’m a little bit crazy about galvanized decor. The rustier the better in my opinion! Isn’t that crazy? 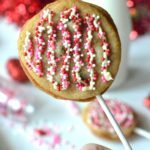 I’m not sure how this trend got so popular, but I really love it! 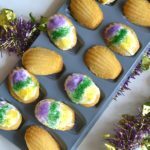 You can put any sort of seasonal floral arrangements in this and make it work with your decor all year long! Right now it’s less than $25. Uh, yes please! 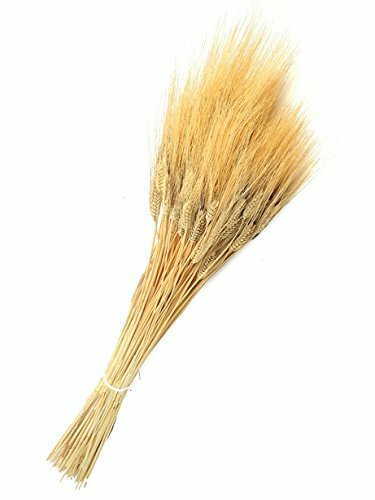 Dried Wheat Bushel – And speaking of floral arrangements to put into that galvanized jug, I think these dried wheat bushels would be perfect in it! I love the simple and natural element these bring to the home. This is a great way to bring the outdoors in, and the muted golden tones of the wheat just scream Fall to me! 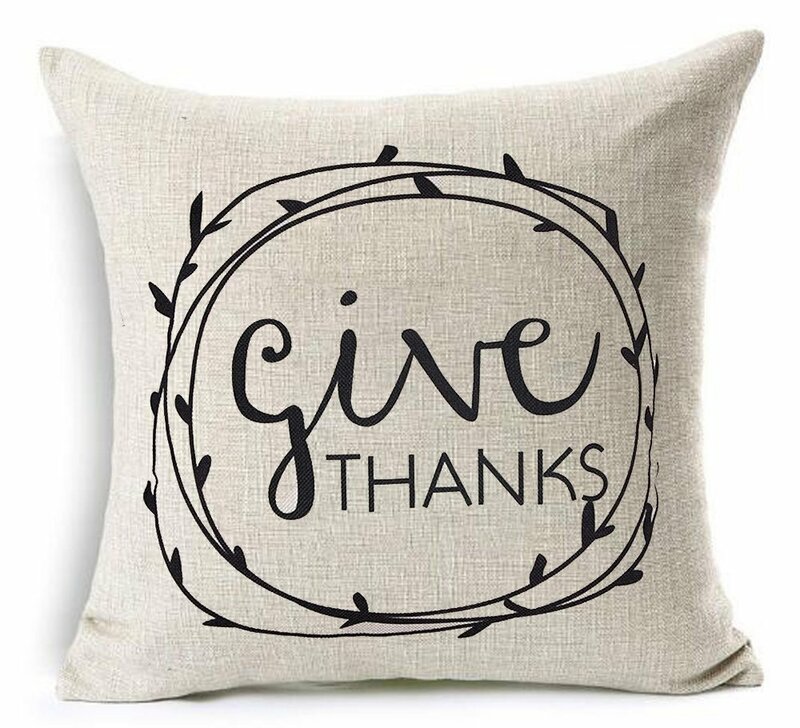 Give Thanks Throw Pillow Cover – How stunning is this pillow case, y’all?! I love the simplicity of it with the charm of the scripty font. It really makes a statement! 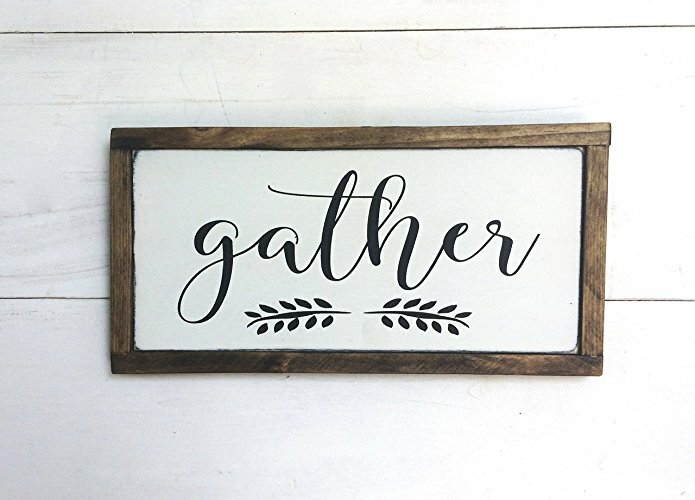 Handmade “Gather” Sign – I can picture this sitting on a mantle or hanging in the dining room as the family gathers together to share Thanksgiving dinner…can’t you? 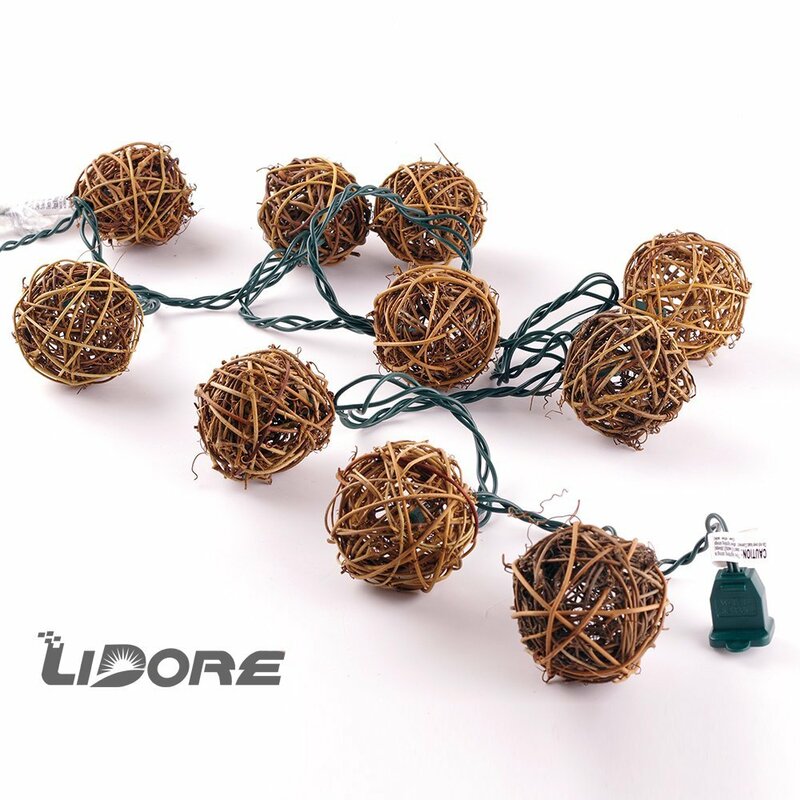 Rattan Ball String Lights – These rattan ball string lights would be gorgeous on a mantle or on a long coffee table. I’m so happy that I came across these, because I’ve never seen rattan balls that light up before! 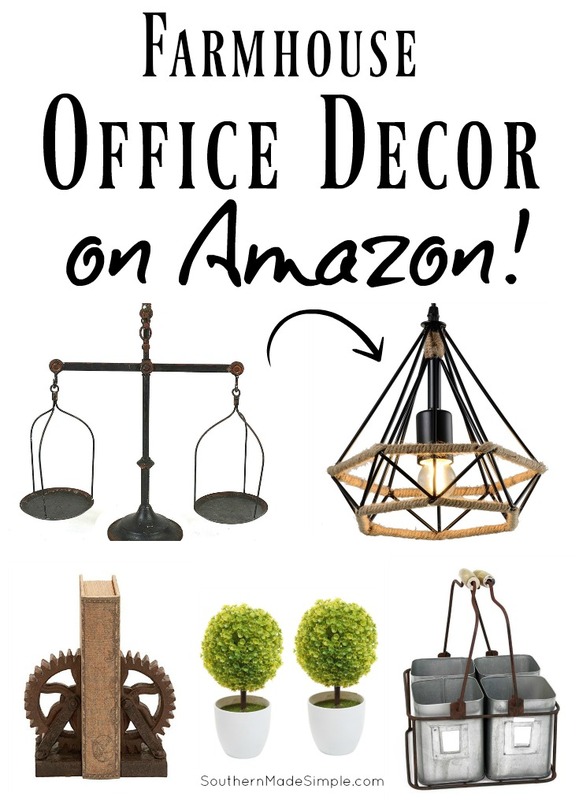 Again, this is another decor item that would really almost any time of year, but these would really give your Fall decor new life with their bright lights! 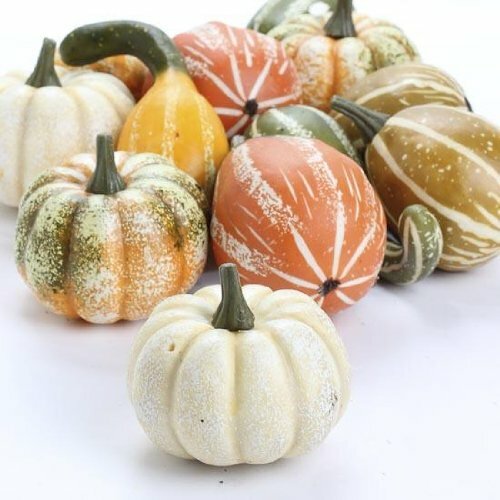 Assorted Distressed Gourds and Pumpkins – Can you even really have Fall home decor without having gourds and pumpkins around? There are lots of decorative pumpkins to choose from, but this bundle is my fave! I love that they already have a little distressed look to them, and those white ones are just gorgeous! I can’t wait to put these all over my home! 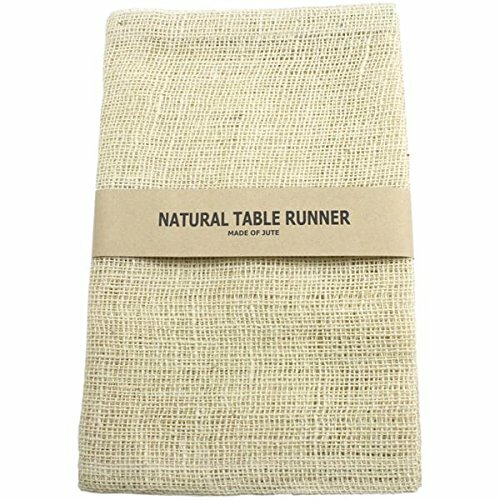 Ivory Burlap Jute Table Runner – You can never go wrong with burlap. 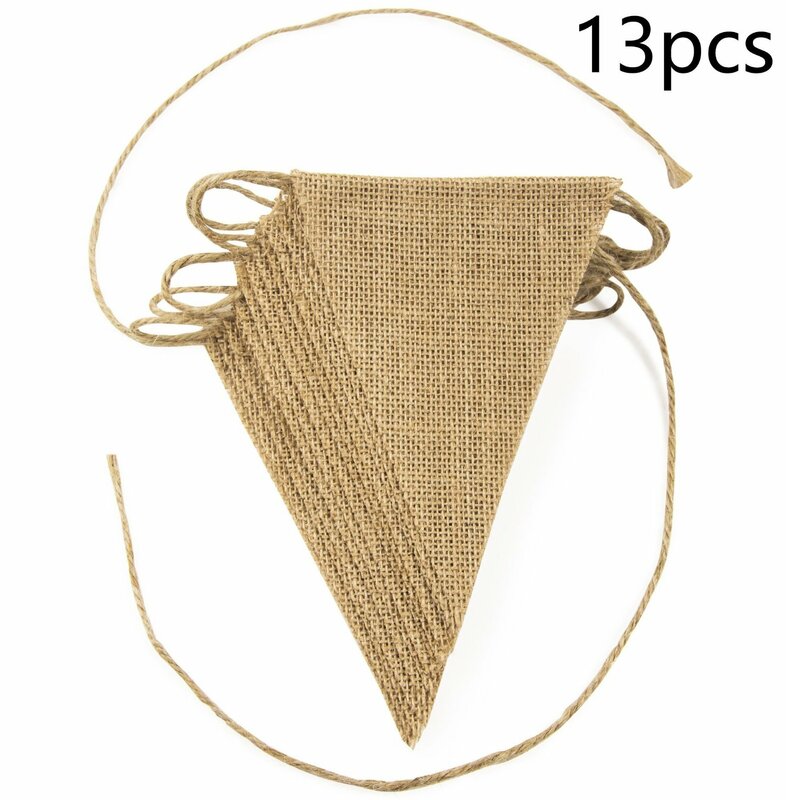 Burlap is basically a staple in my decor, so having a couple of these basic jute table runners is a must-have! 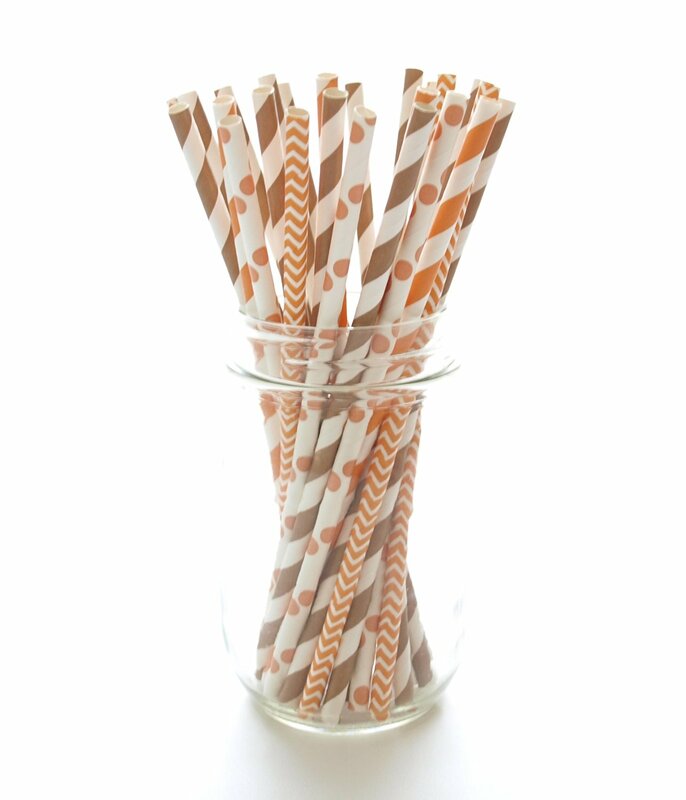 Assorted Paper Straws – Aren’t these little drinking straws so fun? They’re not exactly home decor, but I thought they were too cute not to share. I just itching to drink a glass or warm apple cider through these adorable little straws! And wouldn’t these be so fun to use at Thanksgiving dinner?! 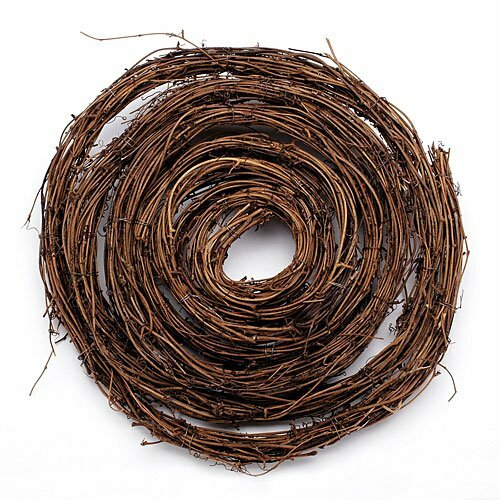 Twig Decorative Garland – This is another really fun decorative way to bring the outdoors in! 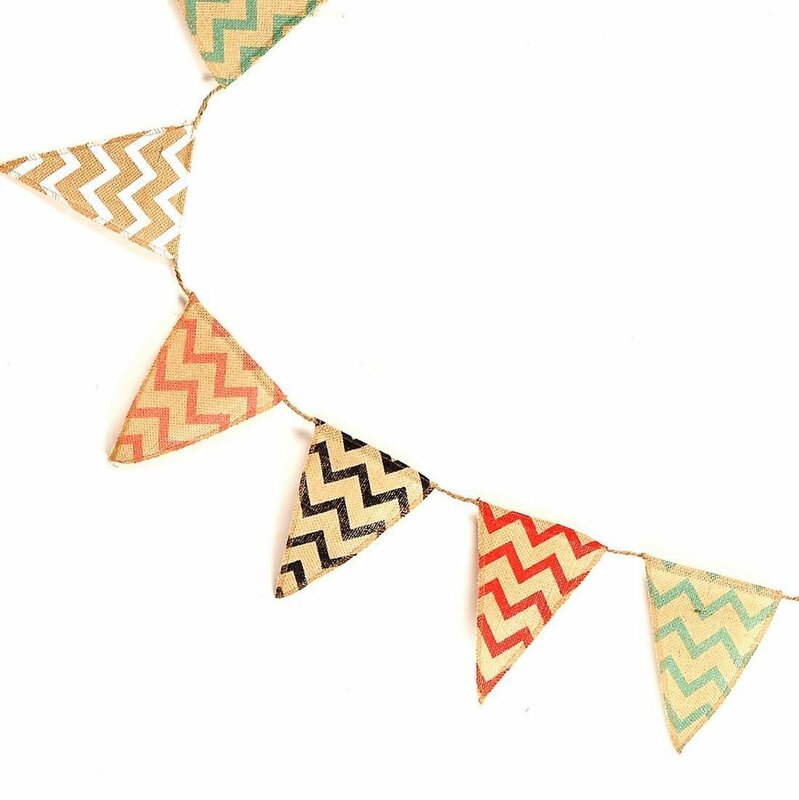 You can easily intertwine this garland around decor sitting on a mantle or on a table. I’ve even seen people wrap this around as a permanent fixture to create a true rustic look! 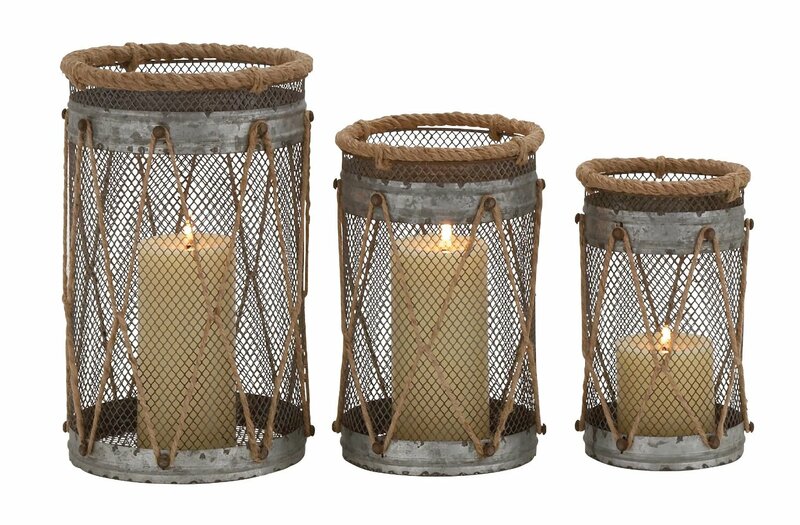 Metal Rope Candle Holders – Another really popular farmhouse trend is to combine modern-industrial looks with rustic looks. 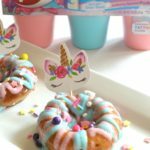 These candles are a perfect blend of the two! This set of 3 candles comes in at just under $40. 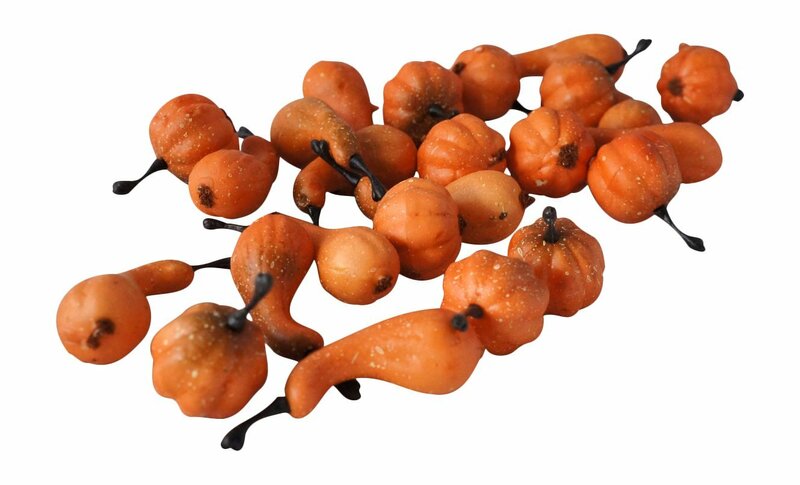 Miniature Pumpkin Fillers – These little miniature pumpkins are so stinkin’ cute! You can use these as vase or bowl filler or even spread around like leaves on a table. I’ll be saving these for next year. 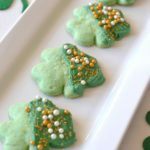 My little toddler would LOVE to hide these all over the place if I put them out now! 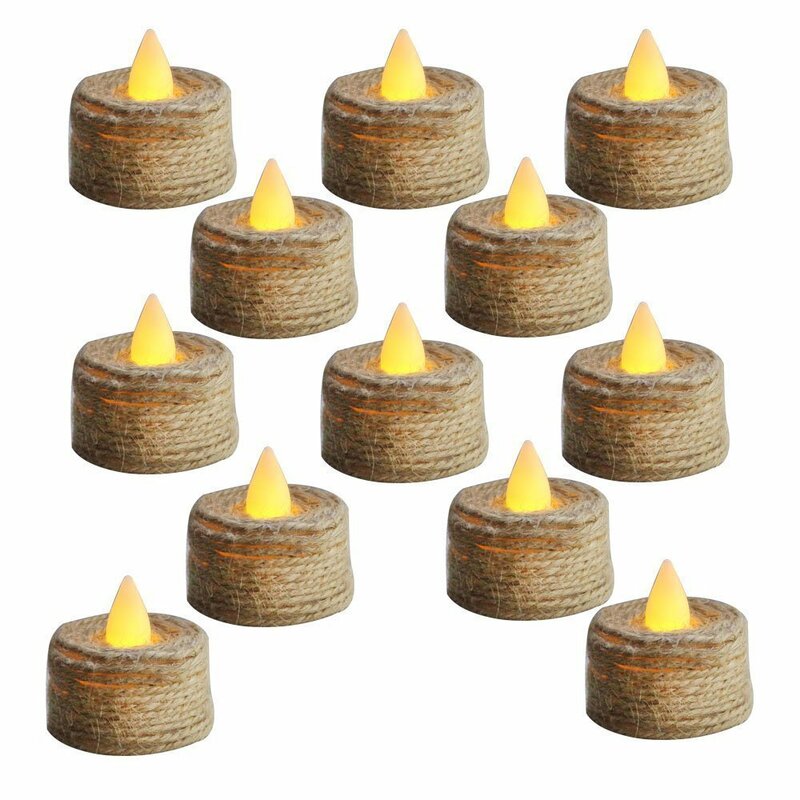 Twine Wrapped Tea Lights – I’ve never seen little tea lights like this wrapped in twine, but I’m so glad I found them. I’m in LOVE! I use tea lights in little vases and lamps all the time. Now I can just set them out as-is. They’ll fit right into my decor scheme all by themselves! 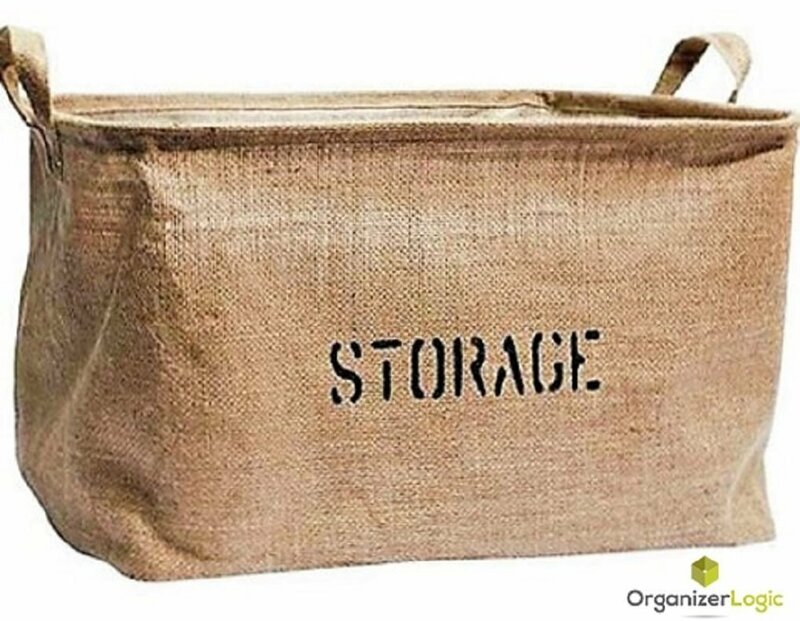 Burlap Storage Tote – Since the weather will be changing soon, now is the time to break out the flannel blankets and snuggle up on the couch. 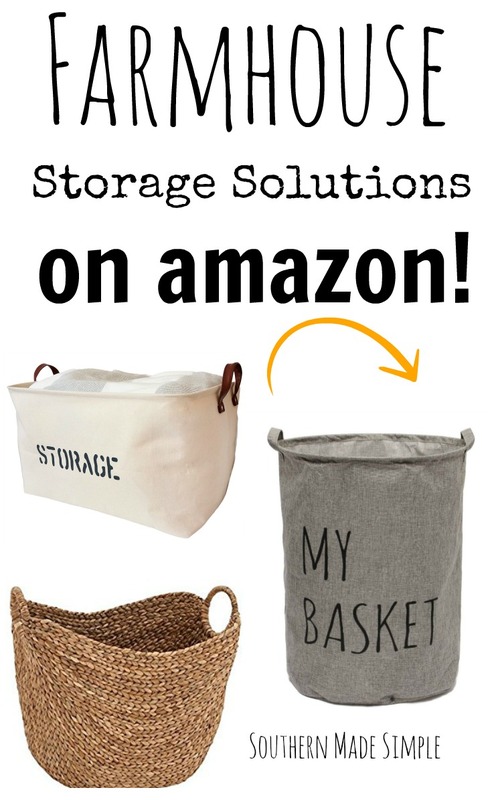 I’ll be purchasing this adorable burlap tote bag to store my blankets in this season. 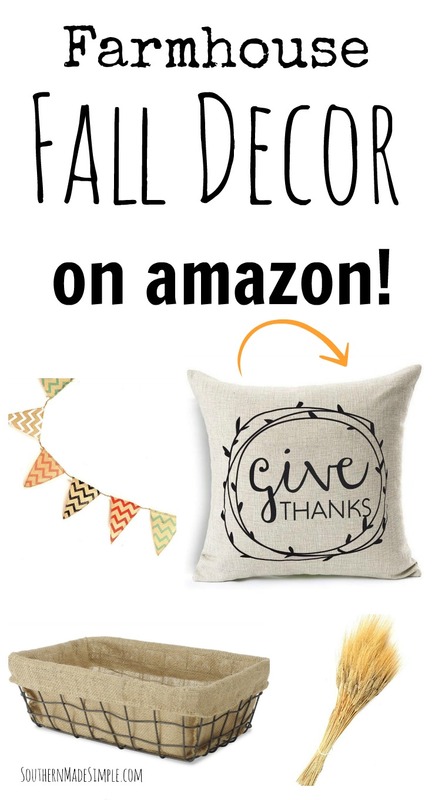 I can use this with my decor all year long! They even make this tote in a “toy storage” version. Love it! 5 ft. Cotton Garland Strand – How beautiful would this cotton garland be strung across a mantle or on display on a table?! 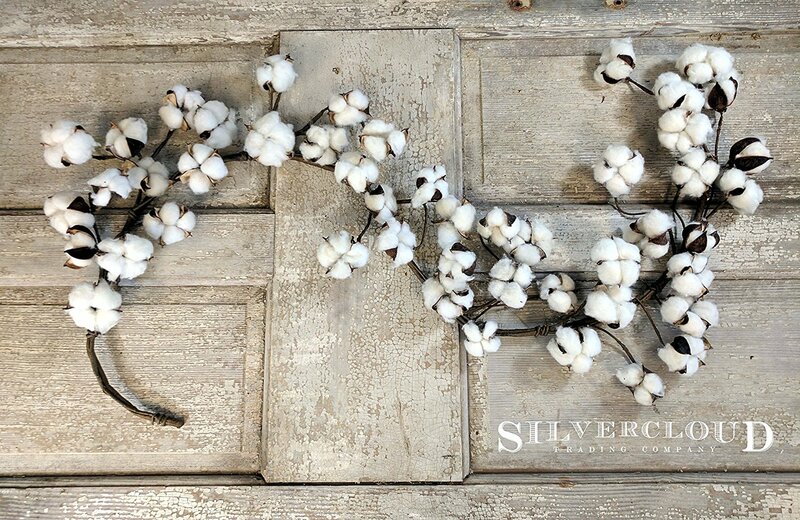 I love the idea of decorating with cotton bolls, and this is a fabulous way to do it! 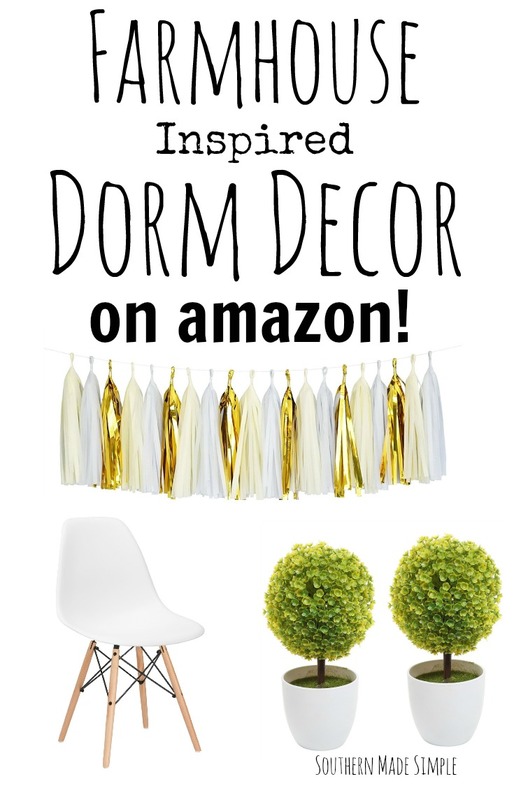 You could also leave it up until Christmas and easily incorporate into your holiday decor, too!